New: a simple card that can be sent as a greeting and a gift. 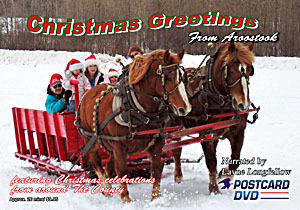 "Christmas Greetings From Aroostook" half hour Mini-DVD. This Mini-DVD, which fits in any regular DVD player, is mounted on a postcard. It features the sights and sounds of Aroostook County at Christmastime. Includes sleigh rides, Caribou Choral Society, Presque Isle Light Parade, the Heavenly Harpers of Houlton and many scenes from The Valley. 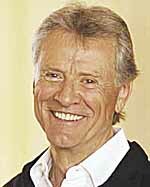 Provides a great show to watch at Christmas as well as a Chirstmas card. Makes a great gift! Only $6.95. will be added at checkout. Crown of Maine Productions, Inc.
All of our fine products are proudly made in Maine. Purchases are made through our Secure PayPal Account using your credit card. It is not necessary for you to have a PayPal account. Note: shopping security may slow your web browsing so please be patient. 06.11.17 9:43 Design and hosting by WilliamLDuncan.com ©2017. Content ©2017 Crown of Maine Productions, Inc.